I love going to the Farmers market during the summer months. Everything looks so ripe and delicious! This past weekend I bought green and yellow green beans and some gorgeous mushrooms. What was I going to make with them? See for yourself here! First, I washed and snapped off the ends of my green beans. I brought a pot of salted boiling water to a boil. Next, I cooked the beans for approximately 5 minutes and drained in a colander. With the mushrooms, I brushed off the dirt with a dry towel and gave the mushrooms a rough cut. Next, I dropped them into a preheated frying pan with a tablespoon of oil. I cooked the mushrooms down about 5 minutes. I added a splash of white wine and salt, pepper, and garlic and cooked down another 2-3 minutes. 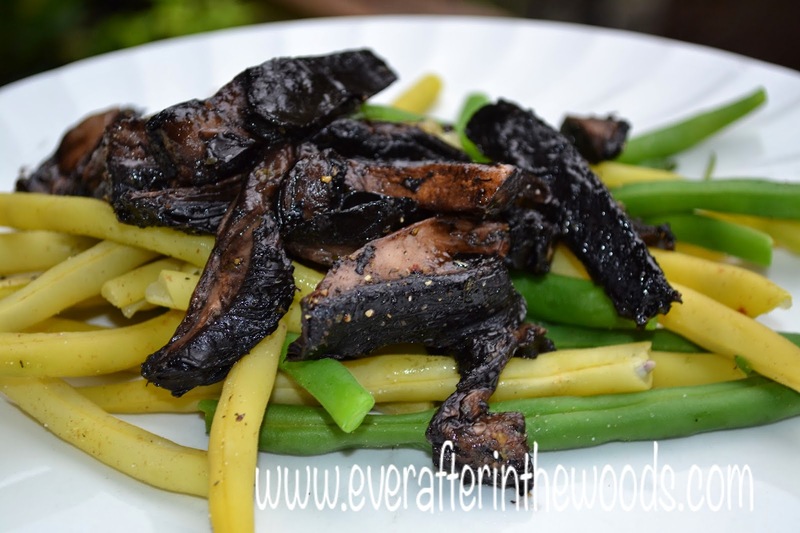 To serve, I plated the green beans and spooned the mushrooms on top. Delicious!